Training for this climb has been a journey in itself with all the walking, hiking and climbing around the many beautiful trails in my area. 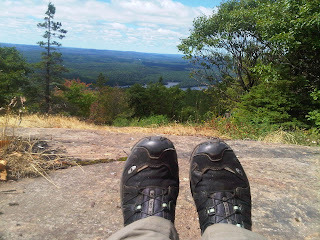 Now, the countdown is on and it is time to give these feet a small break before the climb. Well, maybe a break from climbing more ski hills, but not a break from dancing to Juluka’s “Sitting on top of Kilimanjaro”! Anybody remember it? Juluka, was the first prominent racially mixed South African band that defied apartheid rule. It was one of my favorite bands in the 1980’s and I never thought that one day I would be climbing this ancient mountain. Have a listen... heck why not sing along too?